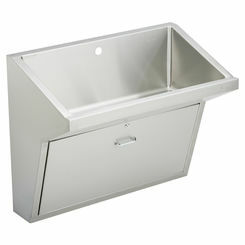 The Elkay EWS3120SACC Scrub-Up Stainless Steel Single Bowl Sink Package. This sink is designed for a wall mount installation. The sink is furnished with LKB722C, the sensor-operated, non-mixing and backsplash-mounted, goose-neck faucet and the stainless-steel with perforated strainer LK18B drain. 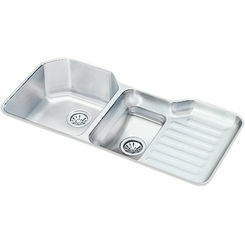 The Elkay EWS3120SACC Single Bowl Sink is designed for efficiency and functionality. The overall dimensions of the sink are 31" in length and 19-1/2" in width while the bowl is 28" long, 16" wide and 15-1/2" deep with a full-length 6” high back-splash. This sink is furnished with 1 faucet hole and has a wall-hanger with stainless steel support brackets. 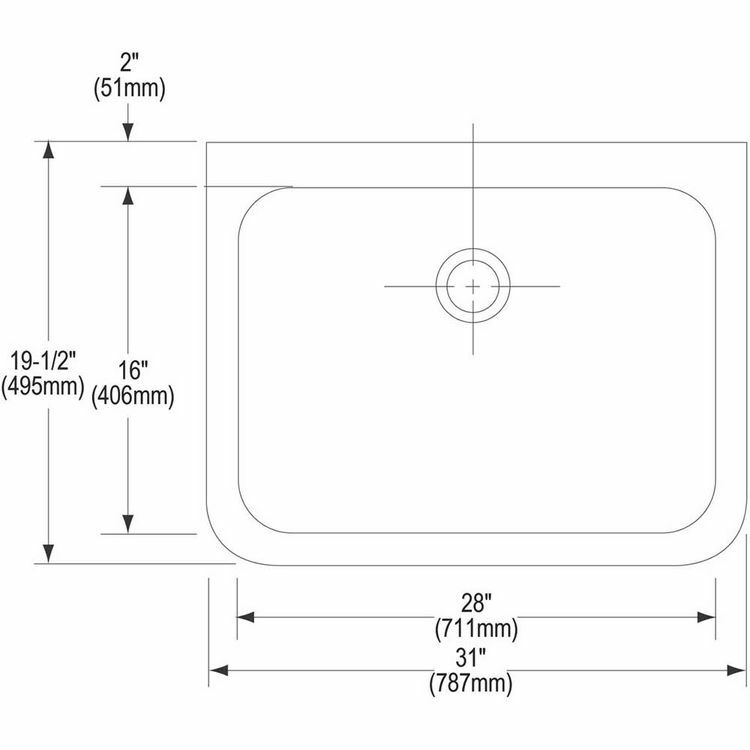 The 3-1/4” drain opening is located at the rear center of the bowl (refer to the specification sheet). The exposed surfaces of this #14-gauge sink have been polished to a uniform satin luster finish. The underside of the sink is sound-deadened. 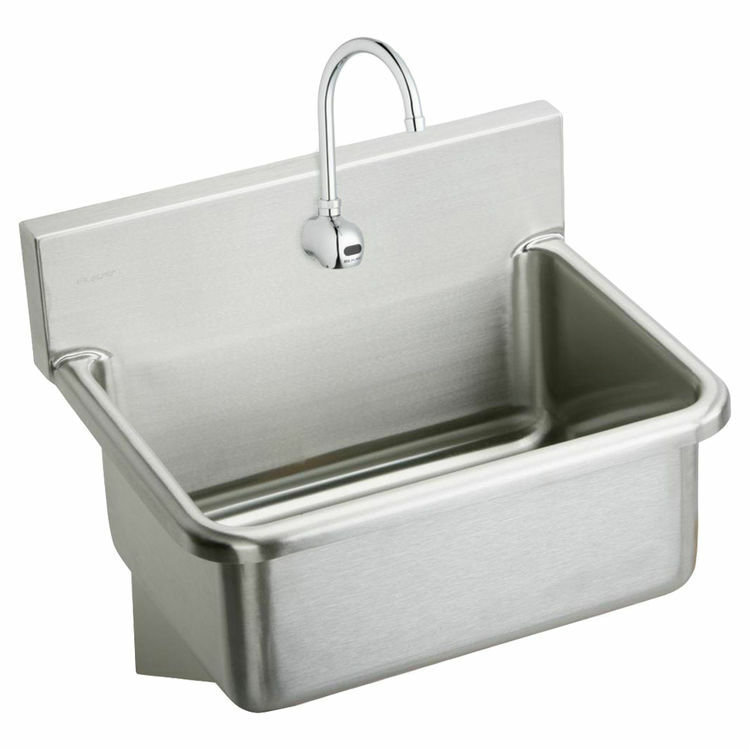 The Elkay EWS3120SACC Scrub-Up Sink complies with ASME A112.19.3/CSA B45.4, ASME A112.18.1/CSA B125.1, NSF 61, NSF 372 for being lead-free and ASME A112.18.2/CSA B125.2. Made in the USA and covered by a Limited Lifetime Warranty by Elkay, a trusted leader in the industry. Includes the drain LK18B and the faucet LKB722C. Exposed surfaces are hand blended to a uniform satin luster finish. 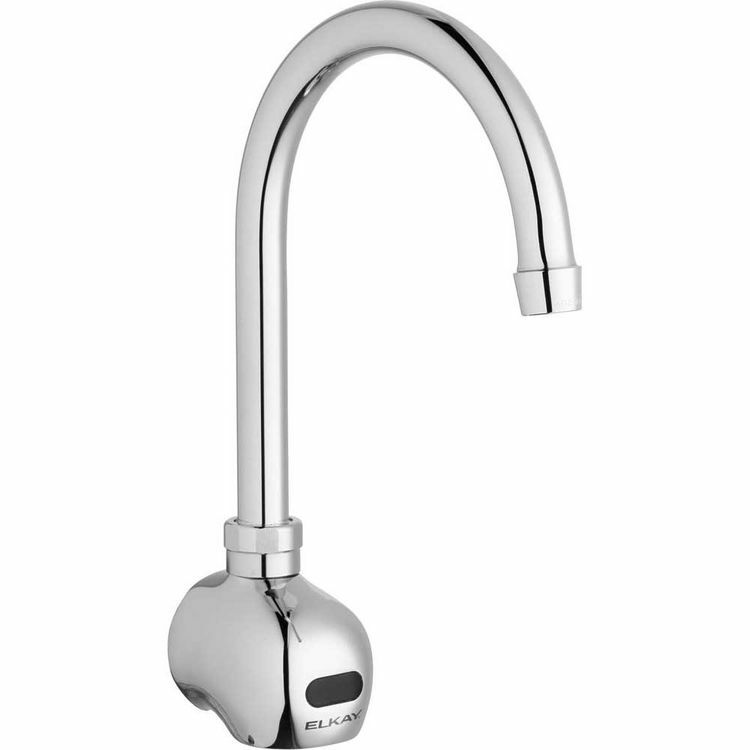 LKB722C is a sensor-operated, deck-mounted, non-mixing gooseneck faucet with adjustable sensor eyes. A continuous beam is emitted from the sensor and the faucet is activated when hands are placed under the spout. Water will flow as long as hands remain within sensor range. When hands are removed, the water stops automatically based on shut-off delay setting. The sensor then resets for the next user. 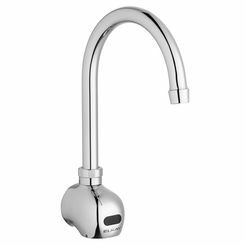 The faucet is a chrome-plated solid brass construction with 2.0gpm laminar flow control on spout end that includes water-resistant sensor control module and power cables. The faucet features dual power options: AC plug-in and battery holder with four AA batteries. The faucet has a slow-closing, piston-operated solenoid valve, an in-line filter with a clean-out trap and a flexible supply hose. The faucets control circuit is solid state, has an adjustable sensor range of 7/8 inches (22mm) to 6-3/4 inches (171mm) with a shut-off delay preset at 1 second and field adjustable to 2 seconds (to prevent sink overflow). 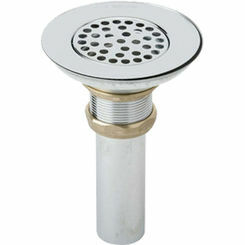 LK18B is a stainless steel perforated strainer grid with a 1-1/2 inches (38mm) O.D. x 4 inches (102mm) stainless steel tailpiece. Vertical and horizontal coved corners are 1-3/4 in radius.